The underrated Opus has a followup, and it’s a blast. A very refined blast, that is. 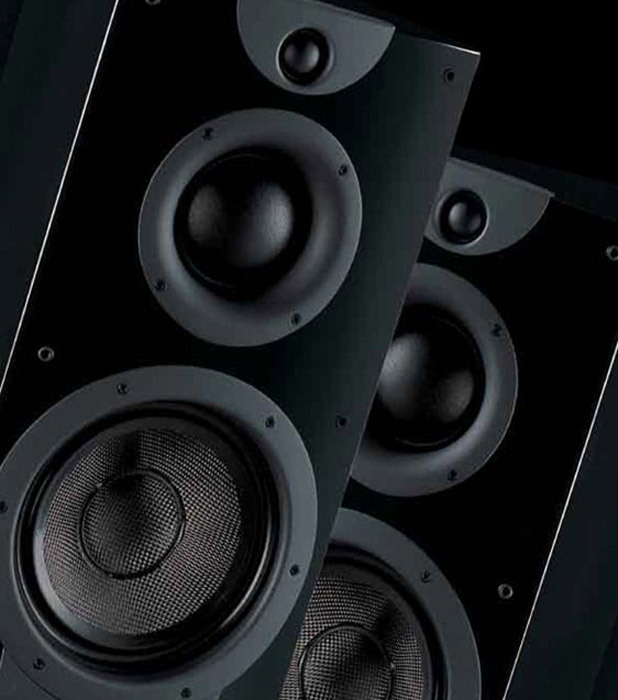 Wharfedale is a company best known for its budget efforts: the enduringly popular Diamond series was a groundbreaking design when introduced way back in 1982, having had more incarnations than Dr Who, while the comparatively recent Pacific Evo range has had pretty much universal acclaim. When the almost 80-year-old British loudspeaker specialist was sold to Chinese company International Audio Group back in the 1990s, alarm bells rang out amongst audiophiles who felt the sale would lead to a cheapening of the brand. The fact is that the build quality of Wharfedale speakers is better than ever, while design and voicing is in the care of such luminaries as Peter Comeau of Mission fame. I remember all too well the horrors of the Valdus and Modus ranges, even though they were targetted at a much lower price point – really towards people beginning their hi-fi journey. They were budget boxes with little hi-fi cred, but offered reasonable sound quality for bugger-all dosh. What wasn’t apparent was the upskilling work going on behind the scenes, with an eye to the future, culminating in the release of the Pacific Evos, the subsequent new Diamond ranges and the strangely under-represented Opus series. I reviewed the original Opus Ones way back in 2007 and instantly fell in love with their uncluttered midrange, outstanding dynamics and fulsome bass response, while their aesthetics and build quality really had them way underpriced when first released. Now Wharfedale have released the second generation Opus series, and local importer Monaco Corporation graciously allowed me a long term loan of the latest Opus 2.2 for an extended listening period. It’s a large loudspeaker; standing at over 1.2m tall and 400mm wide, they demand a good amount of floor space around them. The review samples came clad in a very good piano black finish (other finishes including Rosewood and Cherry are available), and the fairly generous footprint of each enclosure is assisted by small outrigger feet at the rear of the cabinet. A three-way design, the Opus 2.2 has a convex dome midrange along with 2 x Tri-Lam carbon fibre weave 200mm cast chassis bass drivers, while a 25mm textile dome is employed for high frequency duties. Looking at the on-board ancillaries, a set of 6 speaker terminals are of sufficient construction to allow tri-wiring or amping with banana plugs, bare wire or even heavy-duty spade lugs, while the chunky spikes are overbuilt in a good way – although I’d have liked a silver option rather than gold. Other than the imposing size and classy aesthetics, the most unusual aspect is Wharfedale’s use of a midrange dome. It isn’t a new idea of course: English speaker builder ATC has used them in their speakers for years, but it’s the implementation that is important. My experience with the original Opus Ones was a thrilling one – would the senior partner in an upgraded range still cut the mustard sonically? I was keen to find out. Don’t think about standing them up to unbox unless you have either a converted church or castle – I had to lie them down even with a 2.4m stud height. Well, “you have to suffer for your art”, I thought to myself while sweating profusely, and within a few minutes the horror of the boxing process was almost forgotten. Although Wharfedale recommend siting the Opus 2.2’s within close proximity to the rear wall, I found they definitely worked best when used in free space. My experiments led to positioning them 600mm from the rear wall and definitely well clear of side walls. I’d have liked even more space between them and the back wall, but I eventually ran out of space. Nonetheless, this position gave exceptional sound quality and clarity. A variety of sources were employed for the review – Audiolab’s stunning 8200CD (review available on WD), my Jungson Moon Harbour Tube CD player, Squeezebox Duet/Cambridge Audio DacMagic DA converter, my Pro-Ject Studie and Pink Triangle LPT turntables and last but not least, Olive’s excellent 06HD Music Server. [Not to forget the Nordost Blue Heaven interconnects and Super Flatline Mk2 bi-wire speaker cables, with support from local hi-fi gurus Soul To Sole]. With the Opus 2.2’s Wharfedale walk the tightrope between overt clarity and dynamics, and listenability and involvement – music on the dynamic side such as Grinderman’s dirty ‘Mickey Mouse and the Goodbye Man’ kicked with energy and life, while softer music such as ‘Breakfast on The Morning Tram’ by Stacey Kent sounded rich and warm – I could almost smell the coffee and bagels. In terms of soundstaging there was reasonable information emanating outside the speaker boundaries, and the stereo was indeed very good with excellent results during tracks from Dub Syndicate’s ‘Stoned Immaculate’. Adrian Sherwood used a mind blowing amount of panning on each track and the mighty Opus 2.2’s made the best of his hard mixing desk work. Like I said before, the Opus 2.2’s handle the heavy stuff with aplomb but also reproduce more delicate music with the care it deserves. ‘Naima’ from John Coltrane’s Giant Steps album is a soul searching tribute he wrote for his wife, and the 2.2’s handled this track beautifully – Coltrane’s sax soared from the system with startling realism, while the drummer’s plaintive brush work was elegantly rendered: a real workout for the midrange dome unit. 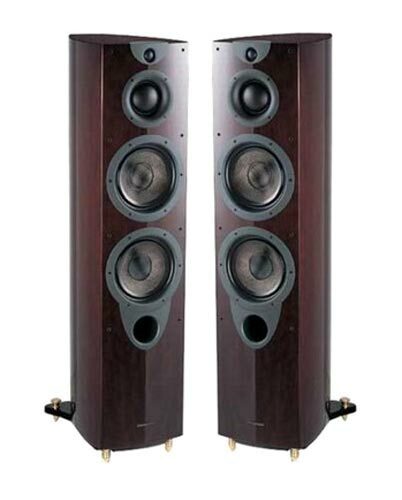 Wharfedale’s Opus 2.2 is a large and expensive loudspeaker system, and some will even question its pedigree since the IAG takeover, but once again I found myself hugely impressed. Actually I have the opus 3 which is very similar to the 2.2 except has 2x10inch bass drivers instead of the smaller ones. It’s a shame that so many people dismiss Wharfedale’s ability to craft high end speakers. The original Opus series that you (and Steel) owned were great value for money. Towards the end of their shelf life, they were being moved on for amazingly low rates, which made them even better value if you had a room that could deal with them. Then there were those Airedale Neo floorstanders that were being sold as demos for $5K….what a buy! Bloody Norm! The boss is checking up on me, can’t run, can’t hide!! Join our forum witchdoctor.co.nz/forums and place an ad for them on the For Sale sub-forum. And then start contributing on the forums like crazy!! For smaller rooms the Opus2-1 may be more suitable (but still works best with a bit of room around them). Or even the “bookshelf” version. As an aside, I’m not sure where the RRP prices come from, as I can’t say I’ve ever seen anyone offer/list them for the RRP. The “street” prices are usually quite a bit less, so offer even better value for money/bang for your buck! can anyone tell me for Opus 2-2, what amp would fit? I have a lovely set of Opus 2 tri-surround in rosewood and the clarity and sound they perform are astonishing , one of the best investments I have ever made .